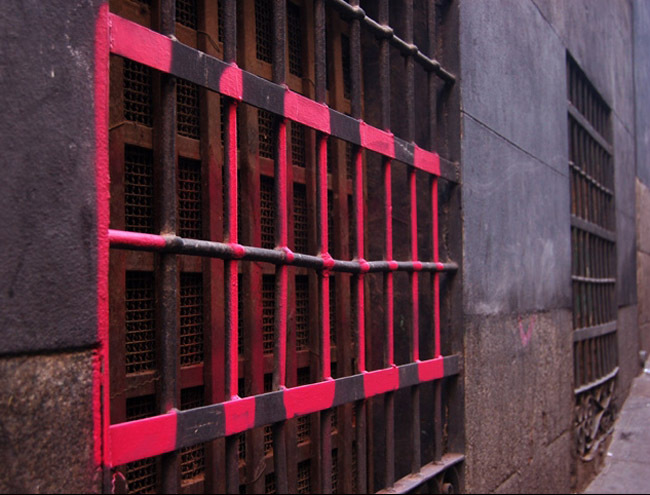 Spanish street artist E1000, (previously here), has taken to tagging the streets of Madrid in a cryptic manner, taking advantage of the horizontal and vertical lines of gates, grates, shutters, vents, and manhole covers to paint the five characters of his signature. 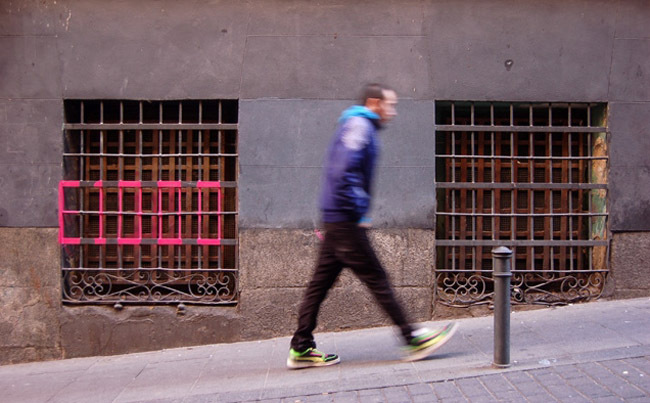 Guillermo de la Madrid has found, photographed and documented a bunch of them on his blog Escrito en la Pared. Above are most of them. This entry was posted in Art, Fun, Pop Culture, Street Art, Stuff We Like, Typography. Bookmark the permalink.